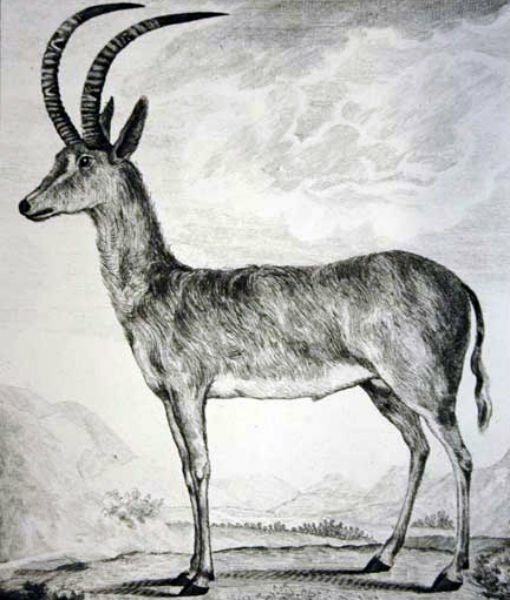 The Bluebuck (or ‘Blue Buck’) was a species of antelopes that went extinct by around 1800. 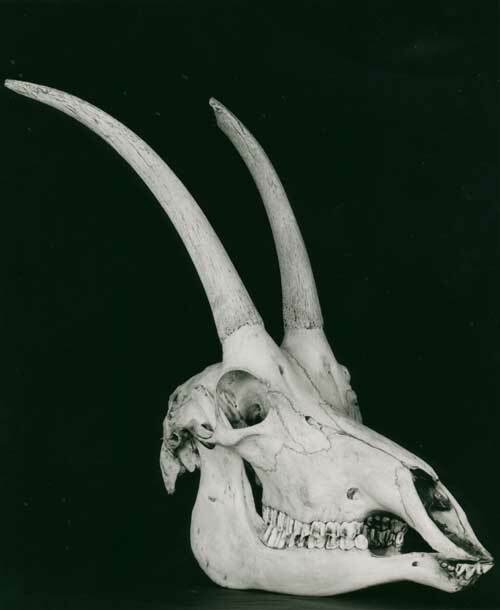 It roamed the grasslands of Africa, while its overall appearance and behavior were much similar to the modern-day southern African Roan Antelope (H. equinus) and the Sable Antelope (H. niger). Bluebucks have been depicted in the ancient African rock paintings. Scientists presume that these animals begin to decline before the first European settlers arrived in the 17th century. These settlers too contributed to their extinction by hunting them relentlessly, eventually converting their habitat into farmland. By and by, the poor creatures wiped off completely by the beginning of the 18th century. Secondly, several fossil evidence suggest that these ungulates flourished as a species for the initial millennium after the last Ice Age. However, declination in their population struck suddenly for the first time about 3,000 years ago. It is generally thought that the reason for this was the disappearance of the greeneries, including the grasses, their staple food, with the tropical climate of Africa gradually becoming warmer and warmer with the passage of time. The third estimation regarding their extinction is the domestication of sheep and cattle by the then indigenous inhabitants of South Africa in around 400 BC. During this time, overgrazing by these cattle resulted in the reduction of plants and grasses that were a part of the daily diet of the bluebucks. This made them starve for long periods of time. Finally, there are high chances of the bluebucks being targeted by the African people for their meat and pelt, eventually leading to mass destruction of the species. 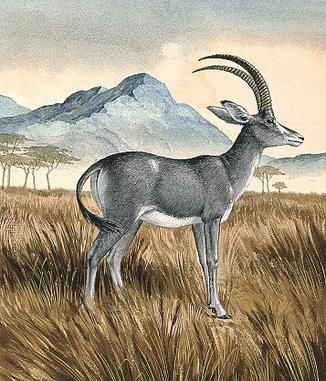 The bluebucks have been described as having ears like those of a donkey, with a long, sturdy neck, and they didn’t have a mane like many antelope species have. The color of their body hair was apparently blue (or gray), with the legs being white and relatively slender, while the tail was long and black. Their facial hair was short with a varied brownish hue. Bluebucks had their characteristic horns bearing 20 to 35 rings, measuring about 56.5 cm (22.2 in) along the curve. 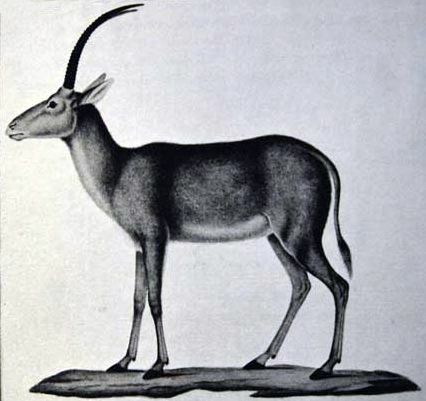 They had the shape of a scimitar, quite much like the modern day Ibex. Sexual dimorphism in this species was very minor with the female being shorter and slenderer than their male counterparts. According to some historical accounts, these animals formed herds of up to 20 individuals. A report from the 18th century suggested that the females would leave the babies isolated where they would return regularly to suckle the juveniles until they are grown enough to join the groups. Like other species of grazing antelopes, the mating and reproduction season of these ungulates too was probably during the rainy season, or in places with a good amount of annual rainfall so as to ensure the availability of grass. Evidence also suggests that, the herds followed an annual west-to-east migration within their habitat, since rainfall occurred in the eastern margin throughout the year, while in the west, rainfall was limited only to winter. As an herbivore, the bluebuck antelopes were not particularly concerned about fresh grass. Their natural favorites were probably medium to long grasses like spear and love grasses. Because of their quick extinction, the museums could acquire only a few specimens for the purpose of stuffing or preserving, while none of these collections show the characteristic ‘blue’ hue of their fur. Biologists opine that their characteristic blue coloration either came from a combination of their dark skin covered by their thinning body hair, or else, from a mixture of black and yellow furs that rendered the animal a bluish hue. In around 400 BC, the indigenous humans from South Africa worshiped these mammals almost like deities. 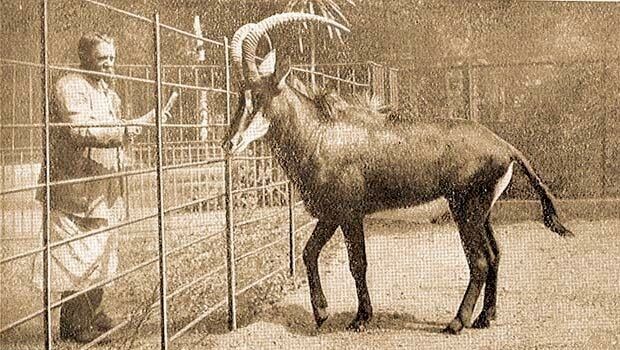 Previously, these animals were considered a subspecies of the roan antelope; however, genetic studies corrected the mistake and accorded the antelope a full ‘species’ status. Published on September 22nd 2018 by admin under Mammals.